Construction of DUG McCloud’s huge Houston facility is very close to completion. 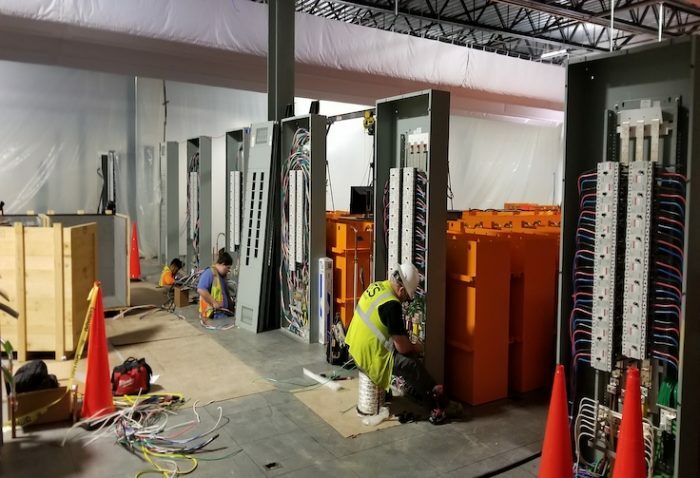 We are just weeks away from finishing stage one, and some of the best technicians in the company are in Houston to make sure everything works exactly as it should. 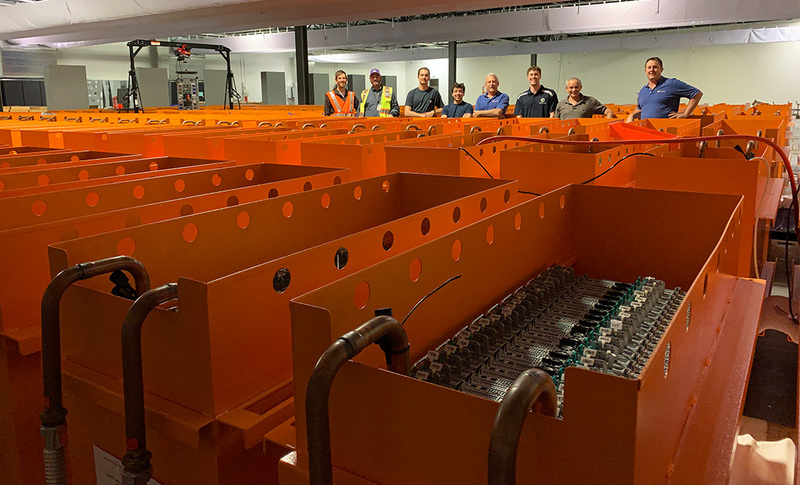 Hundreds of tanks have already been filled with dielectric fluid, and fitted with their heat exchanges and pipes — and are now ready for connection to the power distribution units. 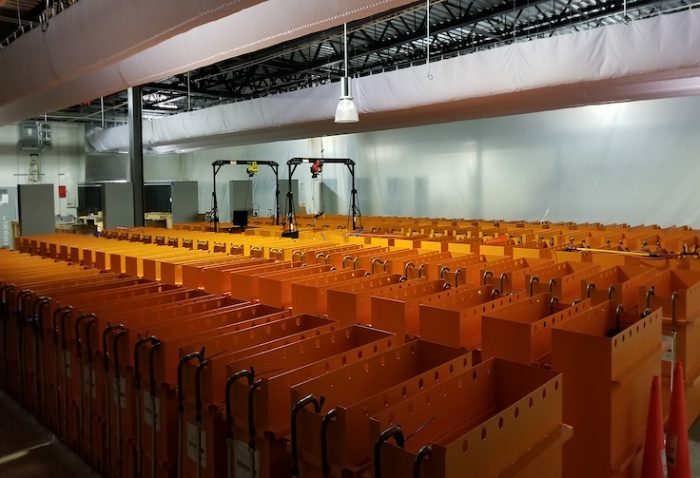 Rows of PDUs will supply 15 MWh (megawatt-hours) every hour to supercomputer Bubba’s servers. Any day now, we are expecting power to our high voltage switch gear outside — and the atmosphere is electric. Our last shipment of servers is expected next week, so watch out for more pictures.